Older New Zealanders suffer a staggering 55,000 pressure injuries every year – almost all of which are entirely preventable. But many of us don’t understand what causes this painful condition, or what telltale signs to watch out for. Instead, pressure injuries severely impact people’s quality of life and cost our health system $694m every year. As we age, our skin becomes noticeably thinner and loses its ability to stretch and absorb pressure. When people are confined to a bed or sit for long periods of time, this reduces the blood flow to the skin and creates wounds on certain areas of the body such as the heels and buttocks. Pressure injuries can develop in as little as two hours and occur as a result of friction (the skin rubbing against another surface) or shear movements (when the skin stays still but the skeleton moves). The latter often happens when elevating a bed’s back rest without the person lifting their body off the mattress slightly as it rises. Age, mobility, lifestyle, nutrition and continence are all factors which contribute to susceptibility. The more people are able to move, eat well, stay hydrated and keep their skin clean and dry, the better. Creating good airflow around the body is also important – regularly wiping away sweat and keeping skin moisturised to prevent cracks developing. Changes to the look and feel of the skin are common signs that a pressure injury may be developing. If you push on the skin it will go white for a few seconds then return to its normal fleshy colour. If this doesn’t happen, or if the skin feels warm or mushy (like a bruised apple) and doesn’t bounce back, you need to act. Restricted blood flow and a lack of nerve activity may mean there’s no immediate pain – but that will quickly change, particularly if the skin is broken and an infection sets in. If you’re worried about the risk or signs that a pressure injury is developing, it’s important to raise this with your caregiver, supervising nurse or clinical manager. 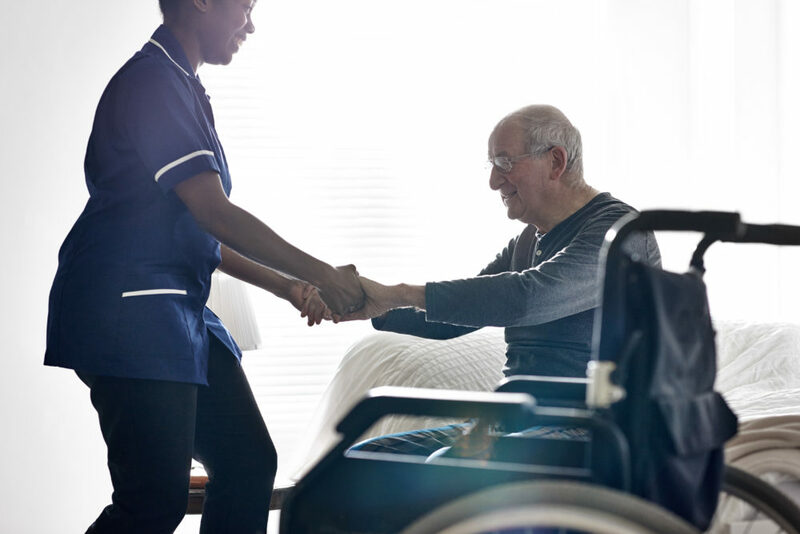 There’s a huge range of solutions available for use in the home or aged care facilities and up to 95 per cent of pressure injuries can be prevented if caught in time. Having the right mattress can make a huge difference. Memory foam (also known as ‘reactive foam’) helps redistribute pressure on the body and molds to a person’s weight and shape. The next step up is an ‘alternating air’ mattress which contains cells or pockets of air. An air pump regularly inflates and deflates alternating pockets to relieve pressure and help wounds to heal. There are many other therapeutic options also available on the market. Cushions and positioning products like heel wedges and special pillows are also great tools to help prevent pressure injuries from occurring. Cubro has more than 30 years’ experience developing products to help tackle problems such as this and make life more comfortable for the elderly and disabled. If you’d like some advice on what solutions would work best for you, we would love to help.